ASTORIA, N.Y. (WABC) -- With temperatures soaring into the 90s in New York City this week, there's one "district" you can go in the city to stay cool -- but you won't find it on a map. Dubbed by some as the city's "unofficial frozen yogurt district," an eight-block, two-avenue section of Astoria in Queens houses eight different frozen yogurt and ice cream shops. The biggest concentration is on 30th Avenue, where five shops run between 31st Street and Steinway Street. Two others are a couple avenues over on Broadway and another is on Steinway Street. In looking at map, it's basically one big square - 31st Street, 30th Avenue, Steinway Street, Broadway - with a bunch of dessert-oriented shops inside. As far as how each is priced, it's difficult to compare all since they have different pricing structures. 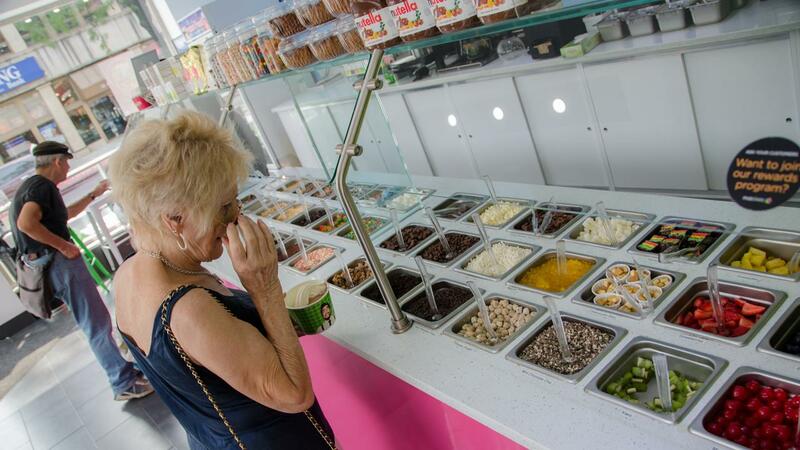 Most of the frozen yogurt shops charge by weight. 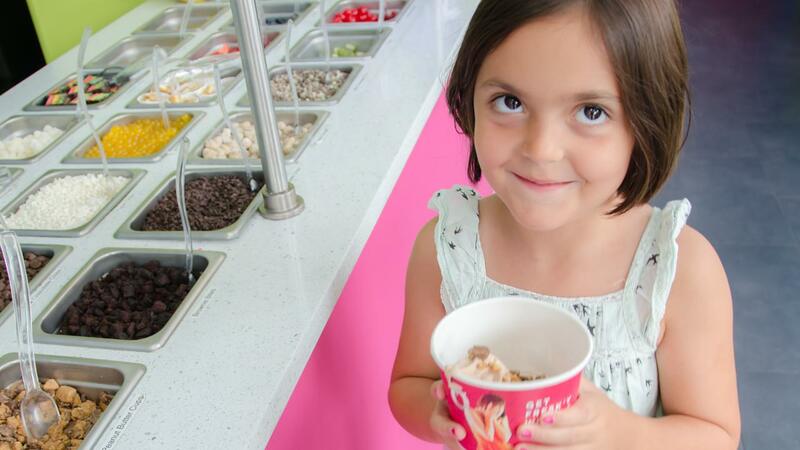 Customers get to build their own dessert in a cup, choosing among several flavors (up to 16 at 16 Handles) with a massive array of toppings that can be piled on top. You can get out paying as little as a couple bucks or more than $10 if you get the big-sized cup and load it up with toppings. In New York City, there are districts for almost everything – Theater District, Garment District, Meatpacking District, Financial District – but what about a district for some frozen treats? The ice cream shops are more traditional, offering set pricing for cones, sundaes and other special treats. And just because there are so many doesn't mean there isn't enough demand to keep them busy. Each had customers coming in and out while we staked out each location over the weekend when temps soared near 90. The good news is that your cravings for frozen yogurt or ice cream don't have to come during business hours. The Baskin Robbins locations are open 24 hours, and Fresk'o and 16 Handles are open until midnight most nights and 1 a.m. on weekends. 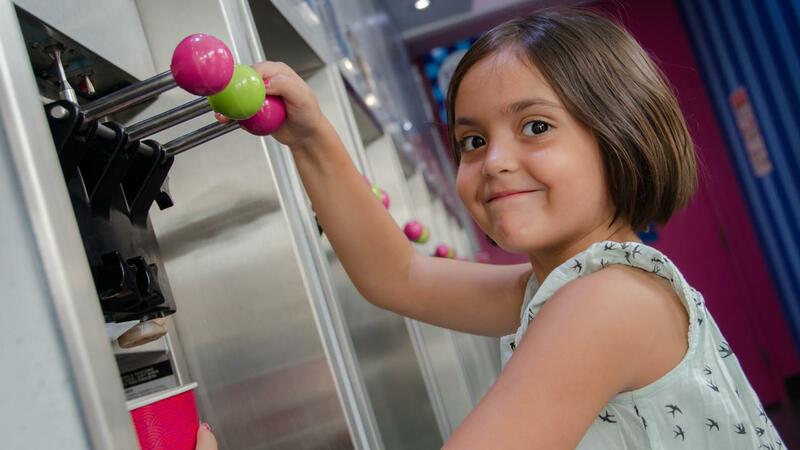 Tell us about your favorite frozen yogurt or ice cream joint in the comments below. If you know of a another "unofficial" district in New York City or the region, tweet @MikeWaterhouse with your information.